Your own personal self defense lessons wherever you are! 5 STARS! - "Amazing app! Techniques are really helpful to defend yourself in the streets." 5 STARS! - "Shows u the right thing to do when someone is trying to bully u." 5 STARS! 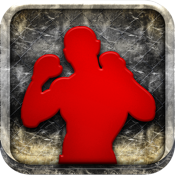 - "Best self defence app on the market, learnt some proper good stuff here"
Boxing Dirty is a great app for learning self defense from the comfort of your own home. The lessons are taught by a certified Prof. Robert LeRuyet, Professional Self Defense Instructor and Founder of Brazilian Jiu Jitsu in Canada. Spending a few minutes a day will reveal techniques and secrets will help you prepare against common assaults, bullying, mugging and attacks you will encounter in your life. The concise and easy-to-understand video lessons are designed for all experience levels and will help you learn self defense quickly and easily. *Check out "Wing Chun Martial Arts" for chinese kung fu self defense!! !